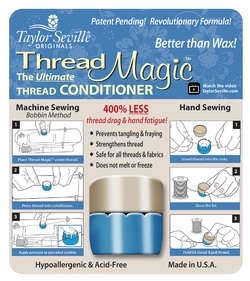 Prevents tangling & fraying. Strengthens thread. Safe for all threads & fabric. Does not melt. Reduces hand fatigue. Tested & guaranteed safe for the environment. Ideal for metallic and specialty threads.